Now that we’re a considerable way into the season, we felt that it was time for a change with our Premiership rankings. 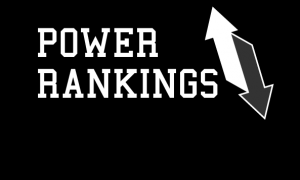 Therefore, we’ve decided to combine the two rankings together, as well as introducing a writer’s power ranking from next week. Despite not having a game this weekend, the Blitz come out as the #1 team in our new and improved Premiership ranking. With the Renegades coming up this weekend, the Blitz will be using this game as good preparation before their London derby against the Olympians the following week. With a 7-0 record, the Warriors could easily be the number one team on this power ranking, but for now, they claim the #2 spot. With their final three games spread over the next nine(!) weeks, the Warriors won’t be moving down our rankings any time soon. A 39-7 road win over the Lancashire Wolverines cemented the Pirates place as the third best team in the country. With their next game coming up against the undefeated Sheffield Predators, the Pirates may be in a battle to retain their spot for another week. With a 5-0 record to their name, the Phoenix slot into the number four spot this week. With a trip to the Mustangs scheduled for a week’s time, Tamworth will be able to show their playoff potential for the first time this season. Had the Aztecs played a game last weekend (and won), the O’s would most likely be in the number six spot, but with both teams on a bye, they earn the number five spot. This weekend’s game will show who the better of the two teams is. As we pointed out above, the Aztecs earn the number six spot due to the fact they didn’t play a game last weekend. Should they overcome the O’s this weekend, the Aztecs will find themselves moving up in next week’s rankings. Despite a 5-1 record, the Mustangs find themselves in the number seven spot in our combined Premiership rankings (last week’s 1-0 win over WCT didn’t help their ranking). If the Mustangs can claim a W over Tamworth next weekend, the Mustangs will soon be shooting up our rankings. Following a dominating victory over the Sussex Thunder, the Cats find themselves in our top 10. 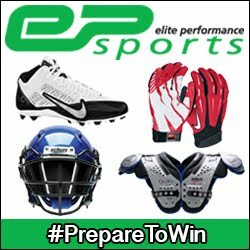 With the Blitz and Warriors games already played, the Cats could end the season winning out their remaining games and finishing the season 8-2. After winning the Division Two title last season, the Predators find themselves unbeaten and in the number nine spot in our new rankings. With Nottingham scheduled for this weekend before a trip across the border to take on EKP, the Predators will be able to show if they’re a playoff contender in their first Premiership season. The final team in our top 10 are the East Kent Mavericks who moved to 3-1 following a 34-22 victory over the Peterborough Saxons. With five of the six teams left on their schedule all having winning records, the Mavericks stay in our top 10 may be short lived. * - forfeited two games.